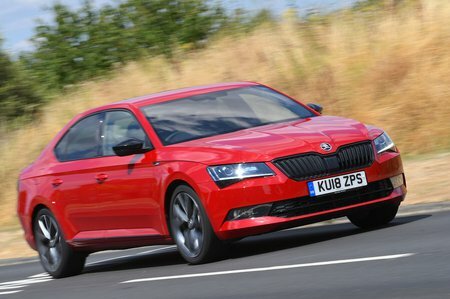 Skoda Superb Performance, Engine, Ride, Handling | What Car? 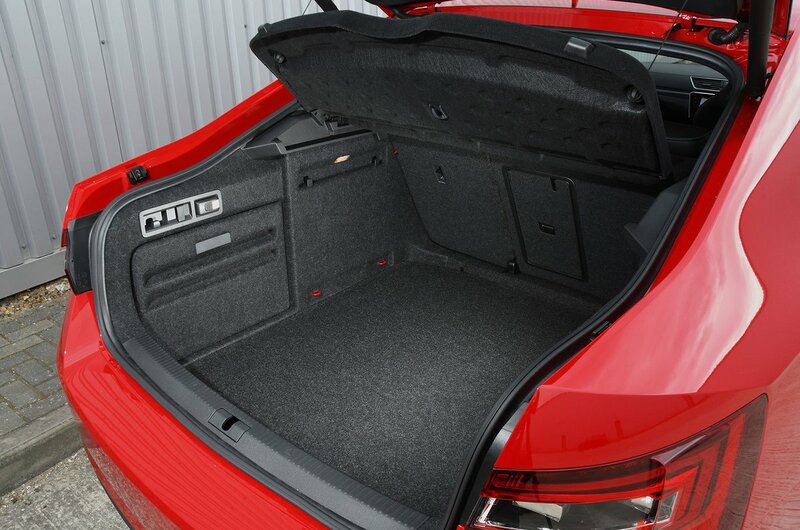 The entry-level 118bhp 1.6-litre diesel engine is just about adequate with a couple of people aboard, but load it up any further and it feels rather lacklustre. The 148bhp petrol engine, on the other hand, is plenty gutsy enough to cope with a car this size, although you do need to rev it hard to make decent progress. The 148bhp diesel isn’t quite as quick as the petrol but, with more torque lower down in the rev range, it offers better real-world pace; it’s also quicker than an equivalent Ford Mondeo. In fact, it’s so good that we don’t think the higher-powered and more expensive 187bhp diesel is worth the extra. For those who want a real turn of speed, there’s a 2.0-litre petrol engine with a seriously potent 268bhp. With standard four-wheel drive, it has enough traction to utilise all that power should you want to embarrass all but the hottest of hot hatchbacks. On standard suspension and smaller wheels, the Superb rides well, even when compared with the supple Mondeo. Around town, it makes you aware of patchy surfaces but soaks up large speed bumps with ease, and it settles well on a motorway cruise. Because it’s so soft, the only problem is some unwanted body float along undulating roads. Adaptive suspension is standard on the top-of-the-range Laurin & Klement trim and optional on everything else apart from entry-level S. The system enables you to choose between modes, ranging from Comfort to Sport. In the softest Comfort setting, the Superb wafts along, soaking up all but the sharpest of bumps. But, as with the standard set-up, the trade-off is a fair amount of vertical movement over crests. Selecting Sport mode tightens everything up but leaves passengers exposed to road surface imperfections. Sportline models, meanwhile, get a ‘sport chassis’ that has stiffer suspension than the standard models. The slightly firmer ride it brings, while not uncomfortable, doesn’t cope with road imperfections in quite the same composed manner as the other suspension options. Whichever setup you choose, it’s best to avoid the larger 19in alloy wheels. These tend to make the ride more fidgety and prone to thumping over large intrusions. This is even more pronounced on four-wheel-drive versions. The Superb offers safe, secure and predictable handling, whichever version you go for. The two-wheel-drive cars have plenty of grip, while four-wheel drive, which is available with the 2.0-litre petrol and diesel engines, throws in added traction and better stability on greasy winter roads. Although the steering offers little genuine feedback, it is at least precise has the right amount of weight to it, and that makes it easy to place the Superb where you want it in corners and keep within your lane on the motorway. Opt for a Sportline Plus model and you get ‘progressive dynamic steering’, which is designed to make the car more stable at high speeds and more manoeuvrable at low speeds. The system achieves this by increasing the sensitivity of steering inputs at low speeds, while decreasing them at high speeds; in truth, you’ll hardly notice the difference in everyday driving. 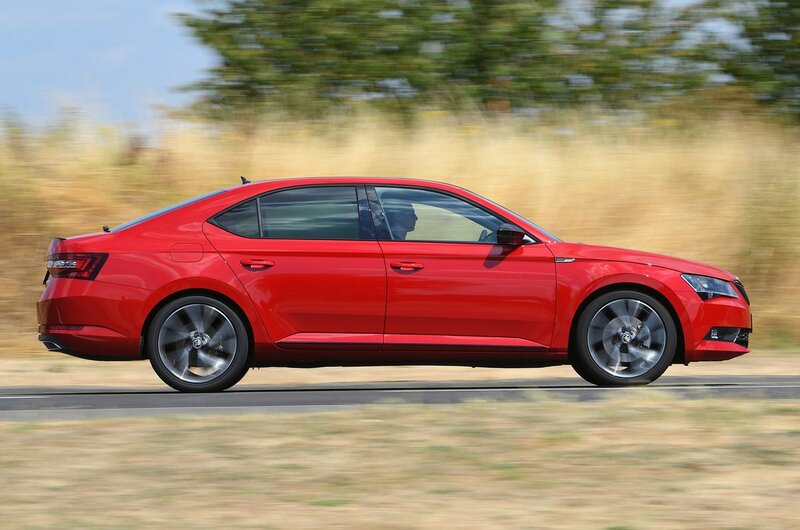 The brakes on all models are strong, with enough feel through the pedal to make the Superb easy to drive smoothly and with confidence. Alas, for all its smoothness and precision, the Superb can feel a little dull. If you prefer a more exciting drive, you’ll find the Mondeo a more engaging proposition, even compared with Sportline models. Meanwhile the premium competition, such as the Audi A3 Saloon, BMW 3 Series and Jaguar XE, offer more thrills for keen drivers. At speed, you’ll hear a flutter of wind noise from around the Superb’s windscreen and mirrors. The larger wheels also kick up extra road noise, including noticeable tyre slap over motorway expansion joints. There’s some noise from the suspension as well, especially in Sportline models. However, these issues could be levelled at any of the Superb’s chief rivals and they don’t prevent the car from being a relaxed cruiser. The diesel engines – particularly the 187bhp version – are rattly from cold and slightly gruff under hard acceleration, but settle to a distant hum at cruising speeds. You also feel some vibration through the controls, particularly the pedals. All the petrol engines are smooth and quiet. The manual versions have a slick gearchange and a positive clutch action, making them easy to drive smoothly around town. On the other hand, the dual-clutch automatic gearbox (offered with all engines) can be jerky in stop-start traffic. Once on the open road, it changes up and down through its ratios seamlessly, though.